Despite the weather and fear of finding no parking because of the ongoing mass protests at the state Capitol, I managed to attend Sunday’s concert by the Madison Symphony Orchestra. 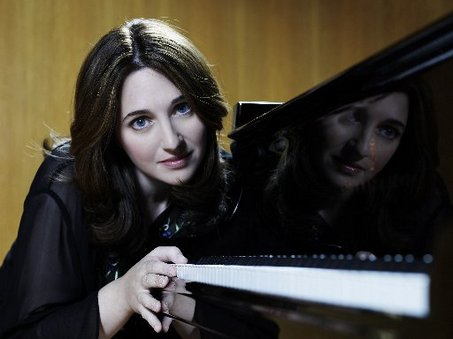 I just had to find out what I would hear from the sensational and best-selling pianist Simone Dinnerstein (below) in Beethoven’s famous “Emperor” Concerto. I wasn’t disappointed. I got my answer. The controversial Dinnerstein (below) proved to be a very talented performer who inspires over-the-top praise for the “spirituality” of her playing. 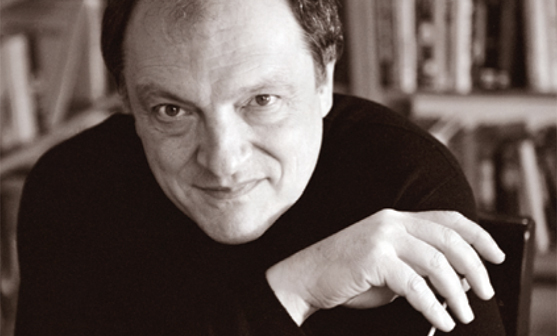 Yet to my ears, I discerned a pattern in the Beethoven that helps to explain what I find disturbing about some – though by no means all — of her playing. She tends to exaggerate whatever the composer or score indicates and seems given to extremes. As a result, I think, she often takes slow passage too slow (the opening of the second and third movements of the “Emperor”) and fast passages too fast (the loud and cascading scales, arpeggios and octaves in the first and third movements of the concerto.) I think she often mistakes slowness as bring profound and poetic, just as she mistakes very fast playing for virtuosity and drama. Too often, for me at least, the thrill of the “Emperor” just wasn’t thrilling. And in the right hands (say, Rudolf Serkin’s or Alfred Brendel’s (see bottom) or Richard Goode’s) it can be hair-raisingly thrilling. The truth is that Dinnerstein has a fine technique, a good musical sense and frequently a big sound. But in this “Emperor,” too often Beethoven’s penchant for repeated patterns (especially dance rhythms) in the passage work got lost; and too often uneven retards and prolonged silences interfered with the melodic line or flow of the slow passages. And there were undeniable moments when she and the orchestra under John DeMain (below, in a photo by Katrin Talbot) seemed clearly in some kind of sync or mind-meld. She really nailed the difficult finale, for example, which features a big, loud and fast solo run at the end of which the piano and orchestra must hit a single chord together. Still, I prefer more straightforward, clearer and less mannered playing. Great music often speaks well enough for itself and the “Emperor” is undoubtedly great music. The martial element can certainly be overdone, I suppose; but now I have also learned that it can be underdone. Such an extroverted piece simply deserves more extroverted playing. The opening “Pomp and Circumstance March No. 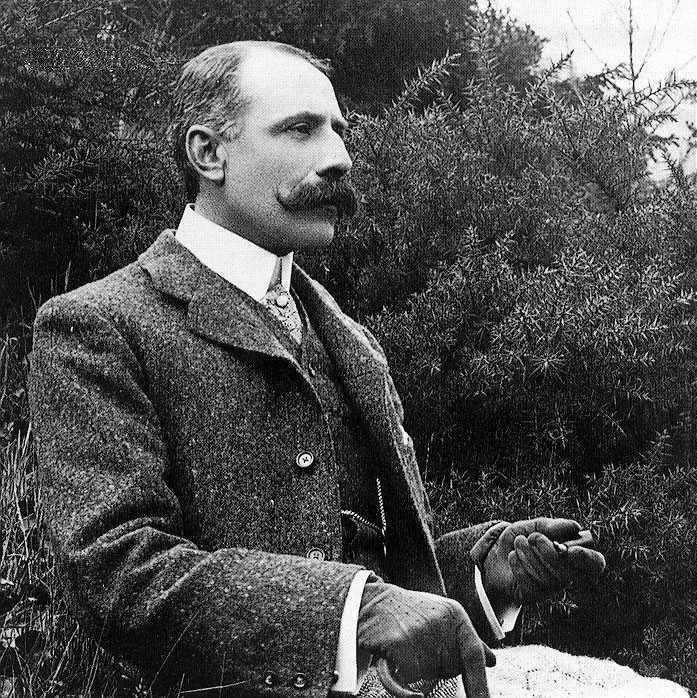 5” by Sir Edward Elgar (below), is not the strongest of the set, but it proved a fine curtain-raiser, especially with its stately middle theme. And it served as a good reminder of how differently English, German and Russian composers see the role of music in an imperial or wartime culture. To my ears, the most impressive playing of the afternoon came in the least appealing piece: the Fifth Symphony of Prokofiev. Indeed I found the playing much more impressive than the piece. True, it is grand and impressive work that spotlights many of Prokofiev’s skills for melody, harmony and especially orchestral color. 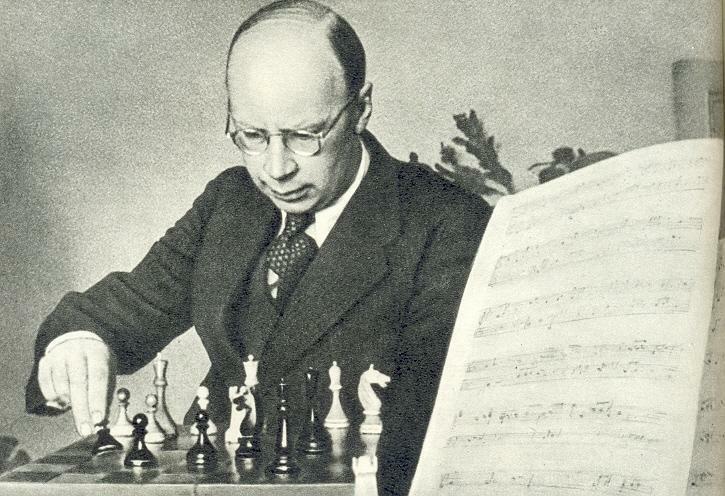 Still, I find that is less accessible and less interesting or engaging than, say, some piano and violin concertos or the ballet suites by Prokofiev (below). But the MSO played this wartime symphony with all the uptempo ferocity it deserved. Especially notable were the brass and the percussion sections, although the winds and strings were also strenuously tested and passed with flying colors. And to play with such clarity and precision while playing fast and loud is not easy. There were plenty of empty seats, no doubt because of the same weather and parking concerns I had. But it was surprising that the hall was as full as it was, and the smaller audience made up for its size with enthusiasm. I’ll add simply, too, that this was an extremely well planned program that showed cohesion and unity. I just couldn’t help thinking that at the end I’d rather have heard the Shostakovich Fifth than the Prokofiev Fifth. 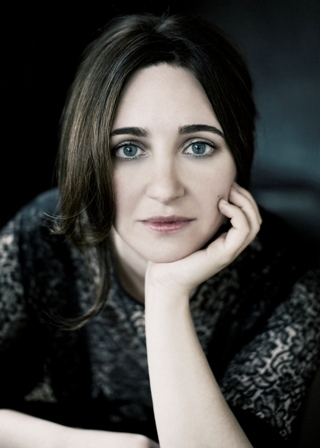 What did you think of Simone Dinnerstein and her “Emperor”?